Dr. Catherine “Terri” Hough is a Professor of Medicine in the Division of Pulmonary, Critical Care and Sleep Medicine at the University of Washington. She is the medical director of the Medical ICU at Harborview Medical Center in Seattle. Her clinical and research interests center on understanding and improving outcomes after critical illness and injury, with a focus on ARDS, sepsis, and chronic critical illness. 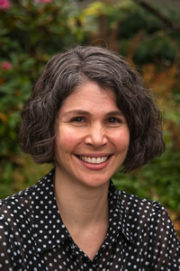 Dr. Hough is a clinical epidemiologist and trialist, contributing to the US PETAL Network as the lead PI of the Pacific Northwest Clinical Center. She is particularly interested in improving the quality of survivorship for patients and families after critical care.